Whether participating in 10:00 a.m. Sunday worship, or one of our special Feast Day services, our acolytes are always ready to serve with enthusiasm and dedication. Acolytes are the glue that holds the service together and allow it to flow smoothly. 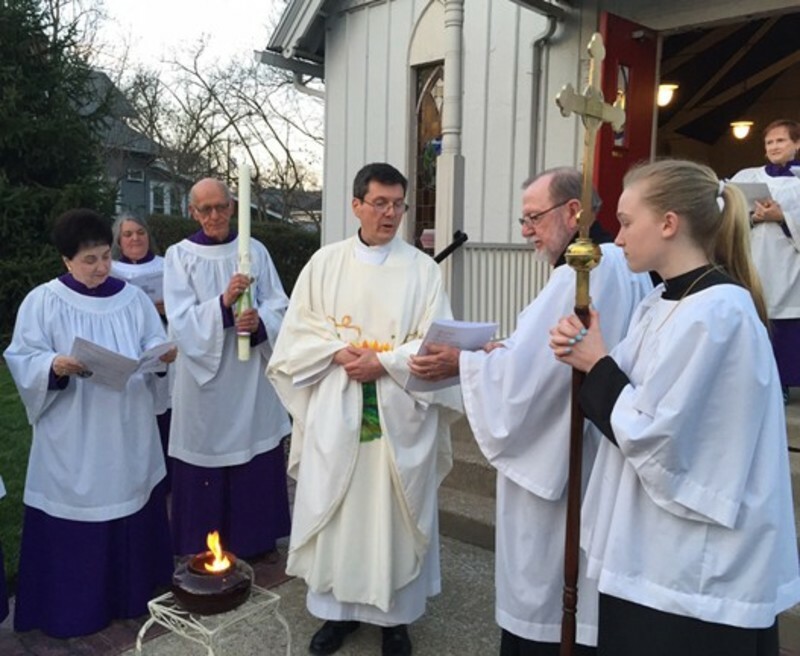 They assist the Rector, in a variety of ways; carrying a processional cross, lighting candles, helping with set-up and clean-up at the altar, as well as receiving the elements and offertory plates from the congregation and other important tasks. Acolytes receive on-going training by the Rector and coaching from the other members of the team. We expect all acolytes to help each other, keep a flexible attitude toward changes, show responsibility about schedule and commitment, and serve God at his table with attention and care. As they progress from first-timers to accomplished leaders, our acolytes take to heart the importance of liturgy and the joy of service in the life of our parish community here at St. John's Church. Even our younger children, eight to ten years old, are trained to be candlesnuffers. With the help of an acolyte these littlest servers extinguish the candles at the end of the service, before the dismissal is said. If you are interested in becoming an Acolyte or learning more about Acolyte service at St. John's, please call the parish office (812-838-5445). St. John's Church is a wonderful place to expand your life experiences within a loving, supportive community. You can explore and learn more about your faith, have fun times with friends and make new ones as well. Join us; you’ll be proud you did.